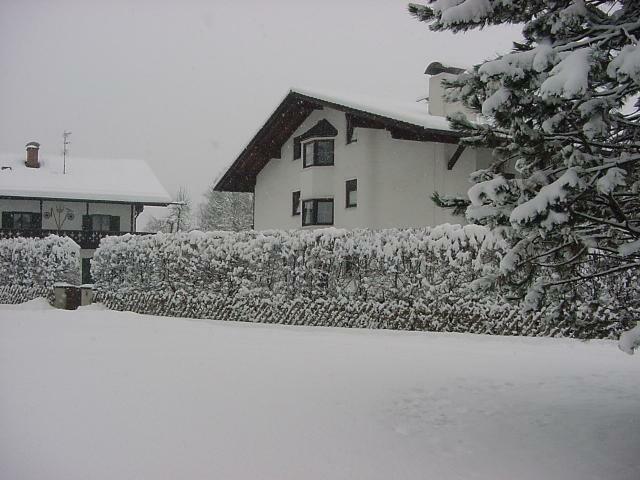 Online dictionary for looking up terms in German Living as I do here in southern Bavaria on the northern edge of the Alps, I enjoy both the scenery and the lifestyle that this region provides. I believe that things are set up here in Europe where there is a lot more awareness of the environment. Of course, with much higher population density than in most of the United States, certain measures have to be taken regarding such things as waste disposal, public transportation, use of public lands, and of course the economies of the various countries. 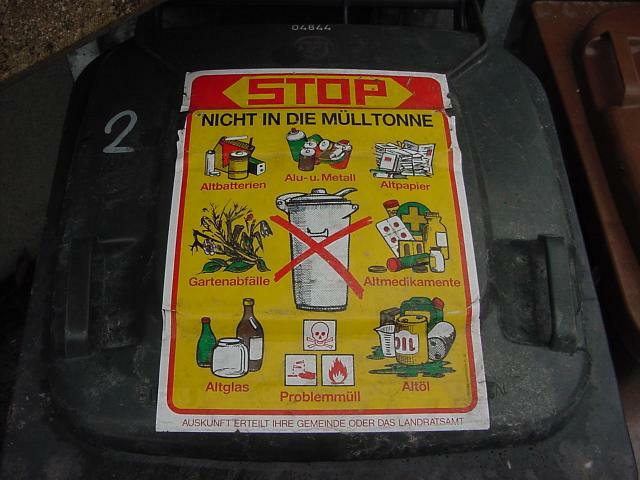 Here in Germany and in other countries in which I have visited in Europe, a large portion of waste disposal responsibility is placed on the individual consumer. 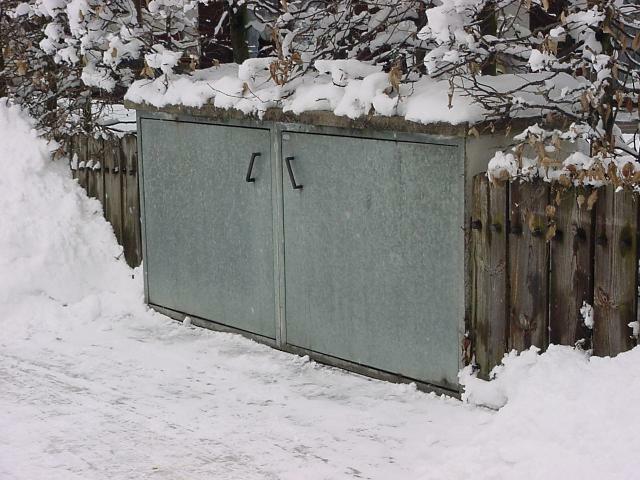 Our garbage is, to a large extent, sorted by the user before it is thrown away. For example, in our household trash, we separate biodegradable and non-biodegradable trash. 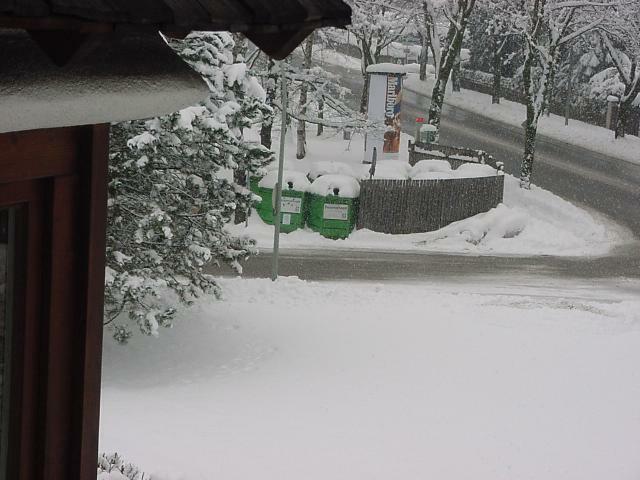 The biodegradable trash is collected and placed in a separate garbage bin used by our apartment house. 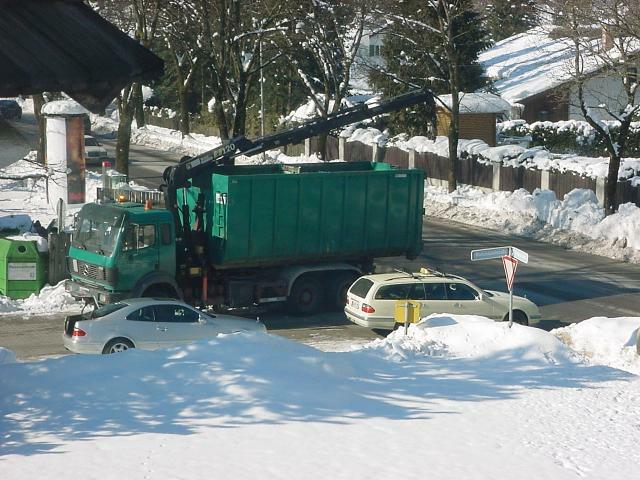 Periodically, a special truck used just for biodegradable garbage comes by and collects it. 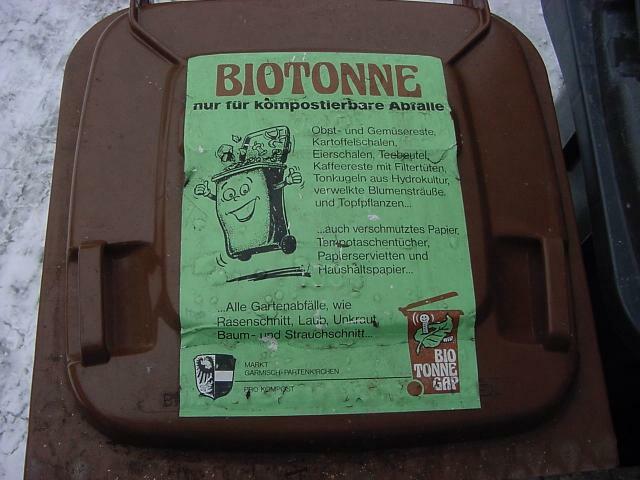 The garbage containers used for this are brown in color and are further marked with instructions as to what constitutes biodegradability and what dös not. As a point of information, kitchen sink type garbage disposals are outlawed here. Instead of a garbage disposal, we have a small filter that fits over the drain and that keeps the majority of waste from cleaning vegetables and the like from going on into the sewer system. This filter is subsequently emptied into the biodegradable trash container. Bitte den Sack vor dem Abholen zubinden. 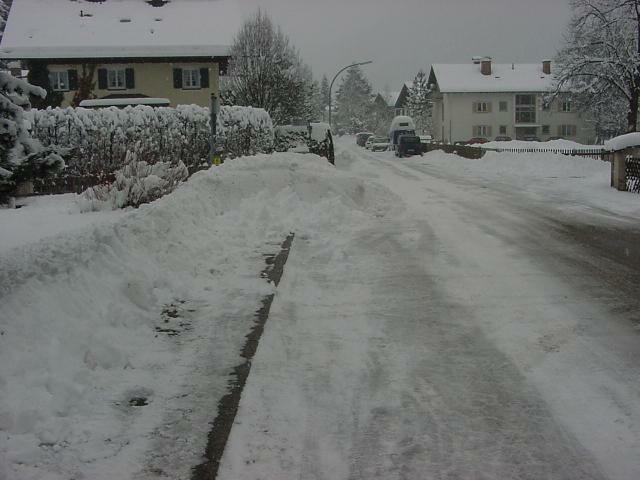 The Container-Standorten, above, refers to the numerous locations throughout the city and indeed all German towns where used beverage bottles, and other used materials are collected. 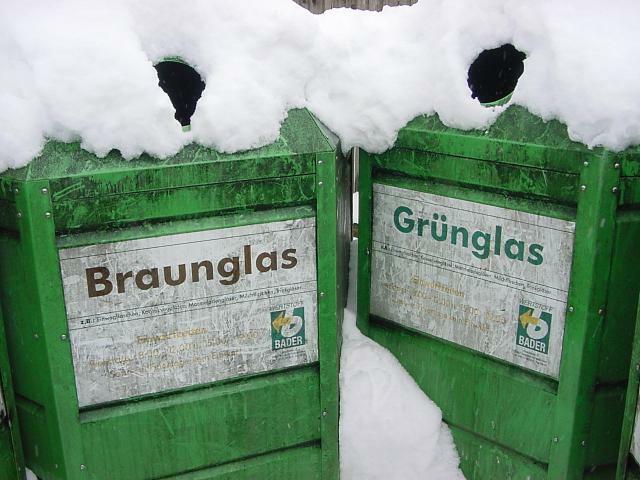 There are special bins for the different colors of glass: white, green, and brown. Also, there are bins for food cans and other Dosenschrott plus bins for used paper. 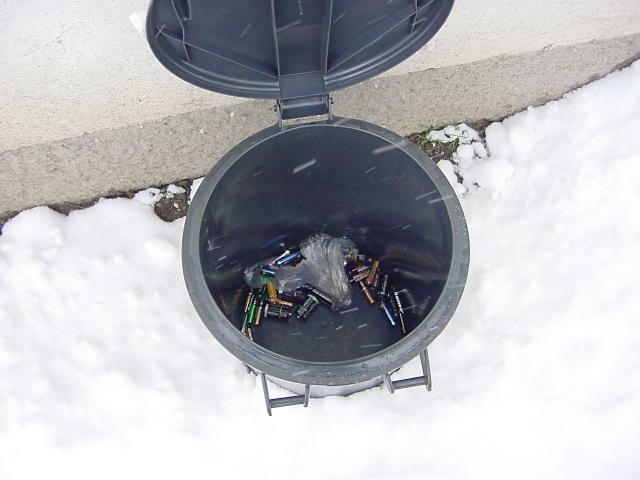 There is usually even a smaller-sized container into which used batteries are to be placed. Periodically, these containers are emptied by a special truck that lifts them up over compartments on the back of the truck and then releases the contents of each bin so that the contents literally flow out of the bottom of the container. This operation is usually done by the truck driver who uses a hand-held remote control panel to direct the lifting, dumping, and replacing operation. 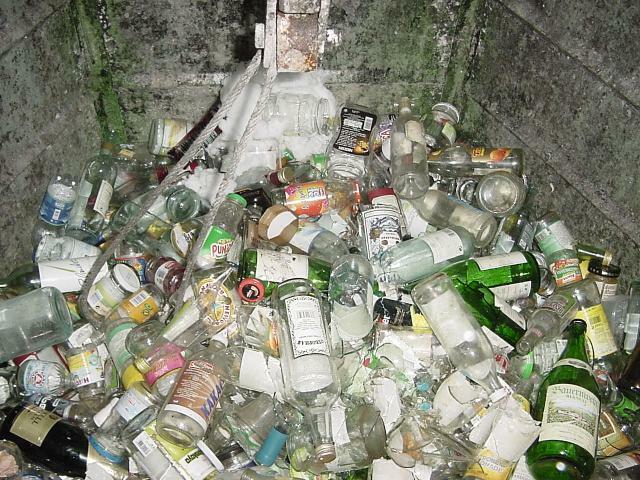 When one of the containers of glass bottles is emptied, it makes a lot of noise. There are also "regular" garbage trucks that pick up the rest of the garbage. 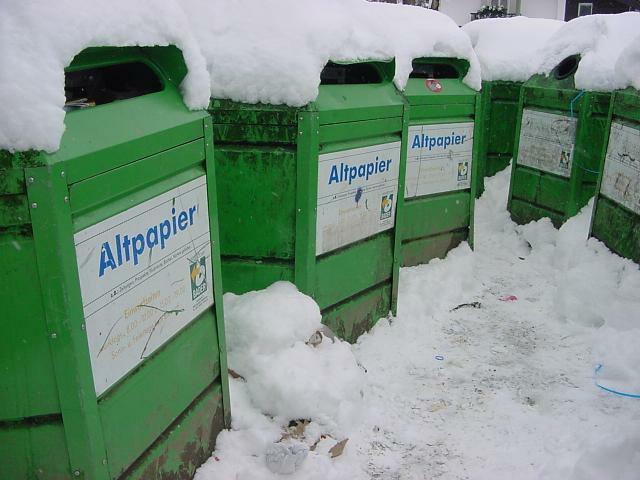 In addition, places such as the Bahnhof have special, compartmentalized trash cans that are designed to sort trash by paper, plastic, and metal. Of course, the sorting has to be done by the person throwing the trash into them, but you'd have to be an idiot not to be able to figure out what is going on since each bin has a picture of the type of trash that's supposed to go into it. 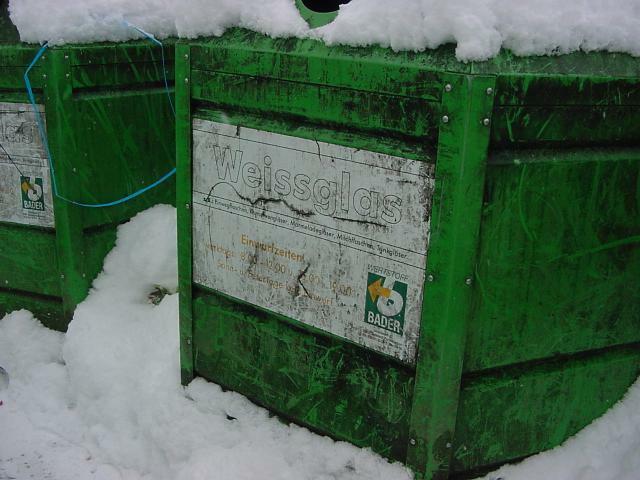 So, one big difference between the United States and Germany regarding trash disposal is that each of the different kinds of trash is sorted by the final user according to the trash's own post-processing requirements. This makes a lot of sense to me and tends to make everyone aware that there are consequences to getting rid of "trash"; 'it' just doesn't "go away" on it's own. 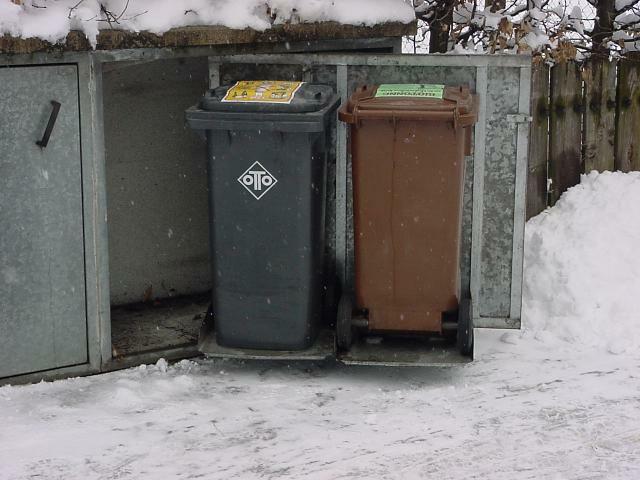 The German system also encourages recycling as a normal activity and is not set up just for those individuals who wish to participate in some kind of recycling program on a voluntary basis: You don't want to participate? Fine, we won't pick up your trash. 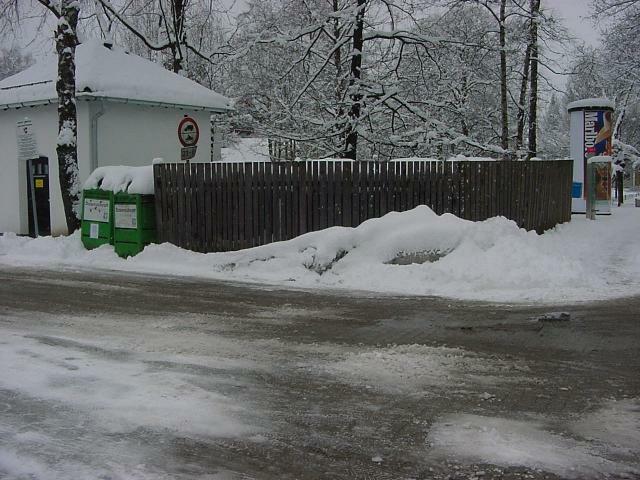 Here is a shot of our neighborhood trash collection area. 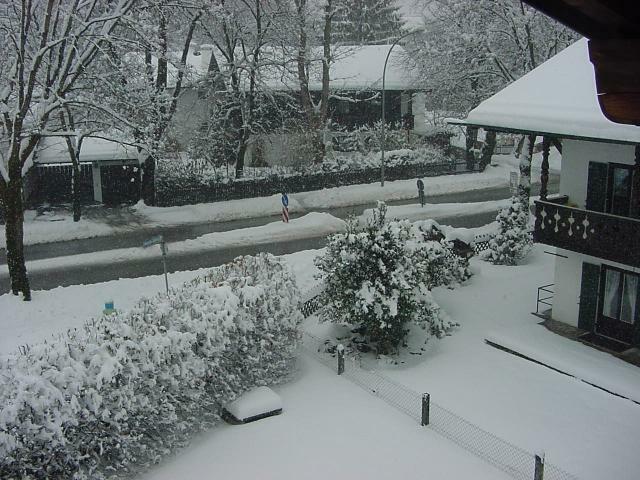 The little house on the left is some kind of transformer house for the electric power. 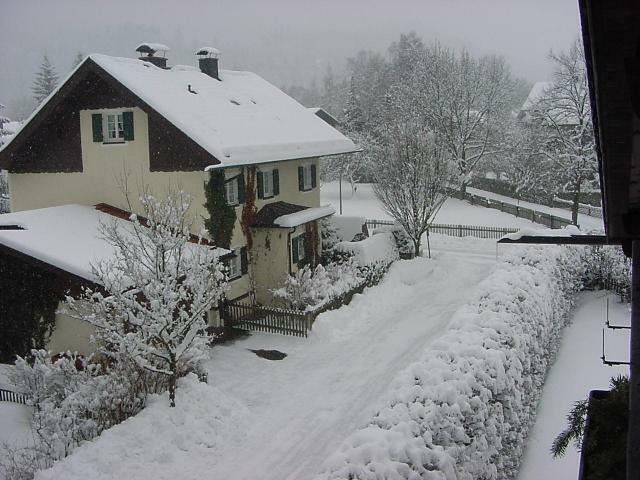 Here, they have all underground utilities and there are no telephone poles with power lines on them anywhere in the residential areas. This is a shot of the built-in trash dump area for our apartment. Most of the houses here in GAP have this style of trash collection where it is built in and out of sight. On collection day, a guy usually rides through very early on a motorbike and opens all of these containers and removes the cans inside. This probably aids the pickup crew. Here is a view of the container with one of the doors open. The doors swing out and have little places for each of the containers. The brown one on the right has been put in backwards, but that really causes no problem in opening the lids of the cans. Directions printed on the top of the leftmost can; it's the one for "regular" trash. The things listed are not supposed to be put in the trash can. Directions on the biodegradable trash can (rightmost in the trash can group shot). Notice that you can put in some paper items. Oh my, green bottles in the white glass!! !